I love you. I love you all. The things we’ve shared together, they have changed me. You’re my family. I love you. I love all of you. 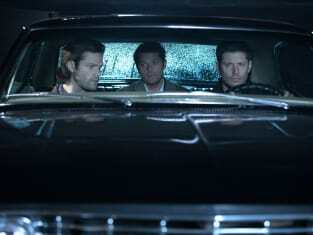 Supernatural Season 12 Episode 12: "Stuck in the Middle (With You)"
Dean: Dean: Like you said, we’re family. And we don’t leave family behind. Permalink: Like you said, we’re family. And we don’t leave family behind. Permalink: I love you. I love you all. Supernatural Round Table: The Return of the Colt!